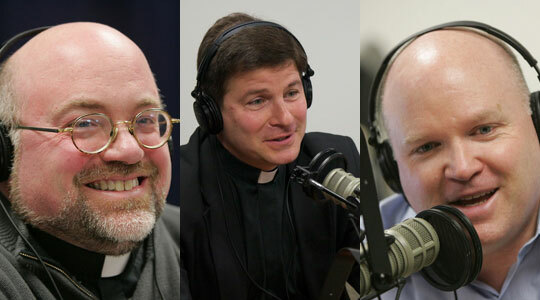 As The Good Catholic Life observes Veteran’s Day today, we bring you this encore presentation of the interview conducted by Scot Landry and Fr. Chip Hines with Fr. Darin Colarusso. Fr. Colarusso was an Air Force aviator serving in Korea when he heard God unexpectedly calling him to the priesthood. Now he sits down with Scot Landry and Fr. Chip Hines to talk about that call and what’s it been like to transition first to seminary life—at a time when the Church was undergoing great trials—and then into the priesthood and eventually his first pastorate. He says he has discovered the priesthood is the greatest excuse to love every person you meet. Fr. Darin also speaks about the future and his work with the archdiocesan pastoral planning commission and presbyteral council, advising Cardinal Seán on how the Church should organize herself for the next 50 years. Complete shownotes may be found at the original airdate’s show page.